Climate change doesn't just melt glaciers, but drastically alters habitats. 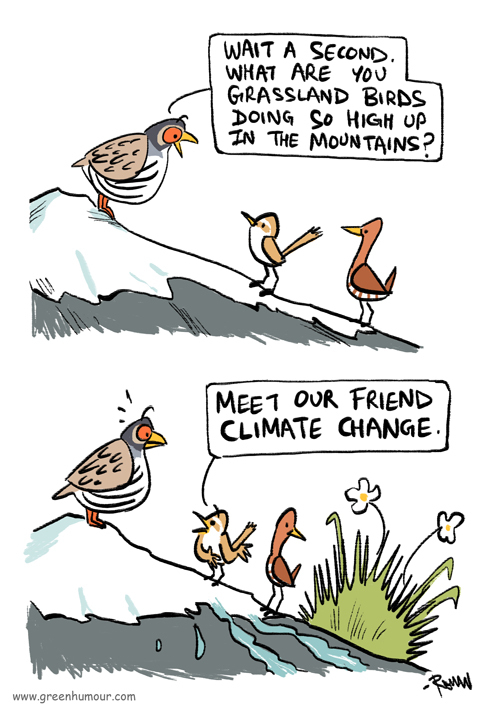 Himalayan birds, for example, have been found to be losing their home ranges to birds from much lower elevations, who now find the higher elevations hospitable because of changing climates, temperatures and vegetation. The comic appears in my column with The Hindu BL-ink.